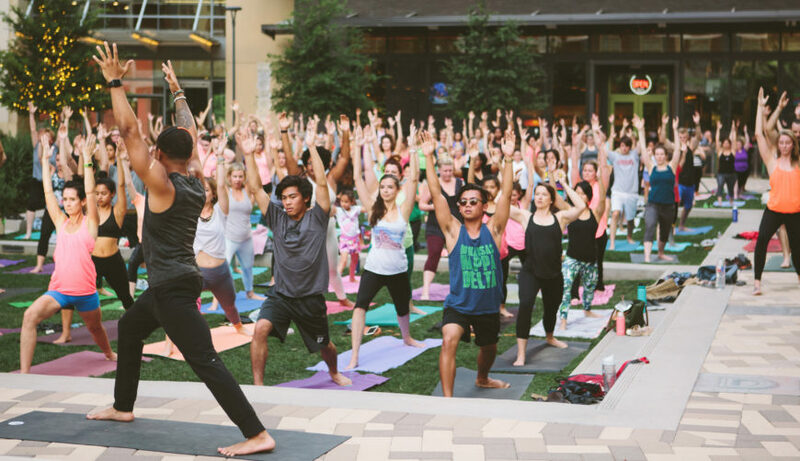 Join CityLine and Reef Point Yoga for our spring CITYLINE STRONG fitness series with free yoga in the plaza every Saturday morning at 9am. Flow with Reef Point Yoga as we take the yoga practice to the great outdoors. These complimentary classes are designed for all levels and beginners are encouraged to experience the freedom of practicing outside in a fun environment. Classes are led by certified instructors from Reef Point Yoga. Bring a mat and a friend! Kiddos welcome to join as well! Complimentary parking is located in the CityLine garages and along State Street. Please arrive 15 minutes early to sign a waiver and set up your mat. In the event of inclement weather, class will be canceled. Check this page for information on cancellations.